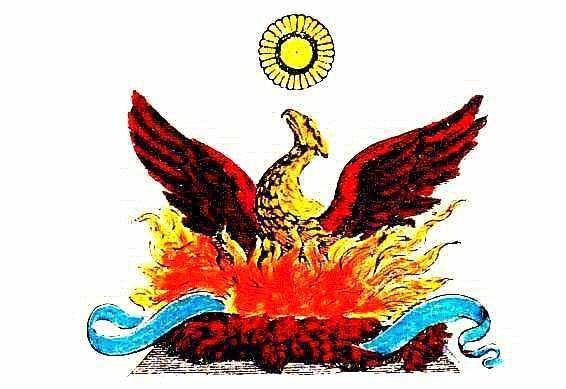 The phoenix is a mythical sacred firebird that can be found in the mythologies of the Egyptians, Arabian, Persians, Greeks, Romans, Chinese, Hindu, Phoenicians, Mesoamericans, Native Americans, and more. 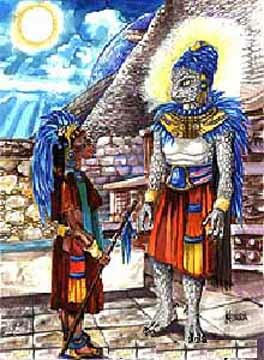 As a proponent of Ancient Astronaut Theory I can see a connection between what is described as the phoenix - a flaming bird who created - to ancient space ships that visited the planet leaving their imprint in the sacred landscape of our reality, that one day day would be understood and interpreted to mean the end of this consciousness and the beginning of another. In ancient Egyptian mythology and in myths derived from it, the Phoenix is a female mythical sacred firebird with beautiful gold and red plumage. Said to live for 500 or 1461 years (depending on the source), at the end of its life-cycle the phoenix builds itself a nest of cinnamon twigs that it then ignites; both nest and bird burn fiercely and are reduced to ashes, from which a new, young phoenix arises. The new phoenix embalms the ashes of the old phoenix in an egg made of myrrh and deposits it in Heliopolis ("the city of the sun" in Greek), located in Egypt. The bird was also said to regenerate when hurt or wounded by a foe, thus being almost immortal and invincible - a symbol of fire and divinity. 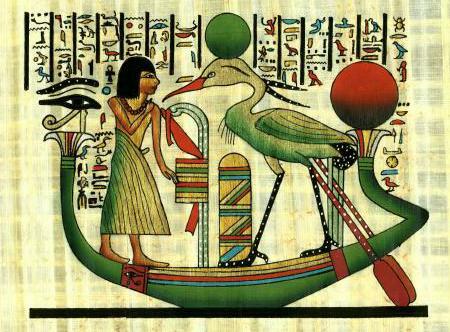 Originally, the phoenix was identified by the Egyptians as a stork or heron-like bird called a bennu, known from the Book of the Dead and other Egyptian texts as one of the sacred symbols of worship at Heliopolis, closely associated with the rising sun and the Egyptian sun-god Ra. The Greeks adapted the word bennu (and also took over its further Egyptian meaning of date palm tree), and identified it with their own word phoenix meaning the color purple-red or crimson (cf. Phoenicia). They and the Romans subsequently pictured the bird more like a peacock or an eagle. According to the Greeks the phoenix lived in Arabia next to a well. At dawn, it bathed in the water of the well, and the Greek sun-god Apollo stopped his chariot (the sun) in order to listen to its song. 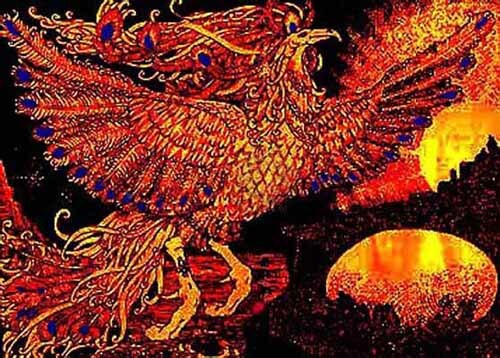 In Slavic folklore, the Firebird is a magical glowing bird from a faraway land, which is both a blessing and a bringer of doom to its captor. The Firebird is described as a large bird with majestic plumage that glows brightly emitting red, orange, and yellow light, like a bonfire that is just past the turbulent flame. The feathers do not cease glowing if removed, and one feather can light a large room if not concealed. In later iconography, the form of the Firebird is usually that of a smallish fire-colored peacock, complete with a crest on its head and tail feathers with glowing "eyes". 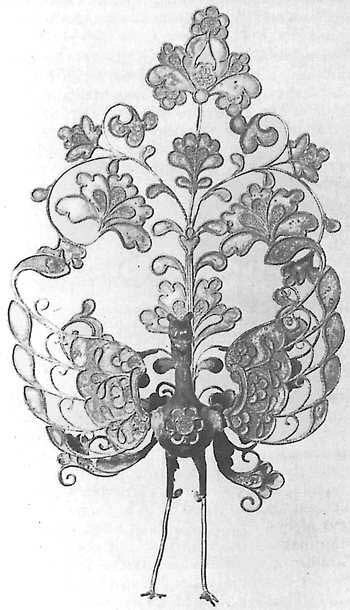 A typical role of the Firebird in fairy tales is as an object of a difficult quest. The quest is usually initiated by finding a lost tail feather, at which point the hero sets out to find and capture the live bird, sometimes of his own accord, but usually on the bidding of a father or king. The Firebird is a marvel, highly coveted, but the hero, initially charmed by the wonder of the feather, eventually blames it for his troubles. The Firebird tales follow the classical scheme of fairy tale, with the feather serving as a premonition of a hard journey, with magical helpers met on the way who help in travel and capture of the Bird, and returning from the faraway land with the prize. The most popular version is found in the tale of Ivan Tsarevich and the Grey Wolf. The story of the Firebird quest has inspired literary works, including "The Little Humpback Horse" by Pyotr Yershov. Composer Igor Stravinsky achieved early success with a large-scale ballet score called The Firebird. 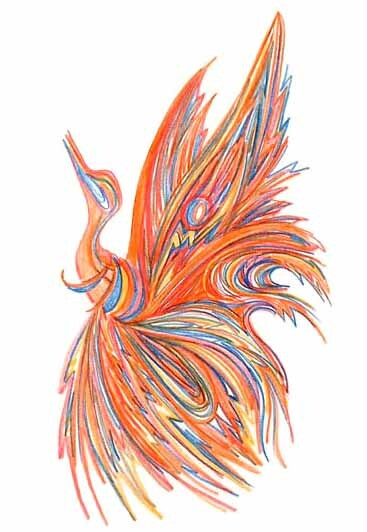 The Firebird concept has parallels in Iranian legends of magical birds, in the Brothers Grimm fairy tale about The Golden Bird, and related Russian magical birds like the Sirin. The story of the quest itself is closely paralleled by Armenian Hazaran Blbul. 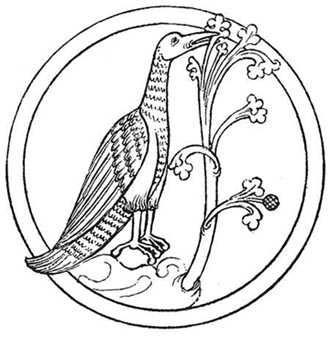 In the Armenian tale, however, the bird does not glow, but rather makes the land bloom through its song. In Czech folklore, it is called Ptak Ohnivak (Fire-like Bird) and appears, for example, in a Karel Jarom’r Erben fairy tale, also as an object of a difficult quest. Moreover, in the beginning of this fairy tale, the bird steals magical golden apples belonging to a king and is therefore pursued by the king's servants in order to protect the precious apples. The story of the firebird comes in many different forms. Some folk tales say that the Firebird is a mystical bird that flies around a kingÕs castle and at night swoops down and eats all the king's golden apples. Others say that the firebird is just a bird that flies around giving hope to those who need it. Some additions to that legend say that when the firebird flies around, his eyes sparkle and pearls fall from his beak. The pearls would then fall to the peasants, giving them something to trade for goods or services. 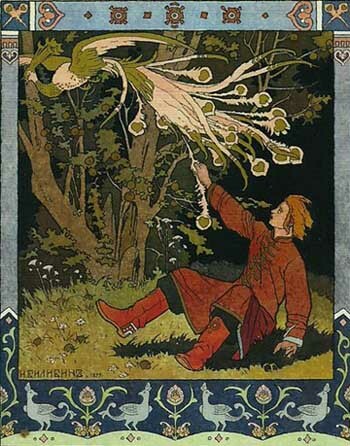 In the most common version of the legend, a Tsar commands his three sons to capture the firebird that keeps flying down from above and eating his apples. The golden apples are in the TsarÕs orchard and give youth and strength to all who eat them. The sons end up barely missing the bird, but they catch one of his feathers that glows in the night. They take it to a dark room and it lights the room completely. The mystery of the feather has illuminated the hearts of men for many years. In Stravinsky's ballet The Firebird, the creature is half-woman, half-bird, and the role is always performed by a ballerina. It is probably the most demanding role in the ballet. 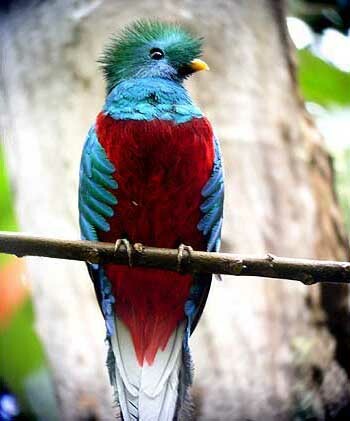 and majesty of the bird, one of the Four Sacred Creatures. In Chinese mythology we find the Feng-huang or Fung; the "vermilion bird," the "substance of the flame." The Feng has the head and comb of a pheasant and the tail of a peacock. It personifies the primordial force of the heavens. It is one of the Four Spiritually Endowed, or Sacred, Creatures and like the dragon and ky-lin, with which it is always associated, it is both yin and yang. When it is the male feng it becomes yang, solar, the fire bird; but as the huang it is feminine, yin, and lunar. When portrayed with the dragon as a symbol of the Emperor, the phoenix becomes entirely feminine as the Empress, and together they represent both aspects of imperial power. The Feminine aspect (huang), denotes beauty, delicacy of feeling, and peace. It is also a bridal symbol signifying "inseparable fellowship." This is not only for the married couple but for the complete yin-yang mutual interdependence in the universe in terms of duality. 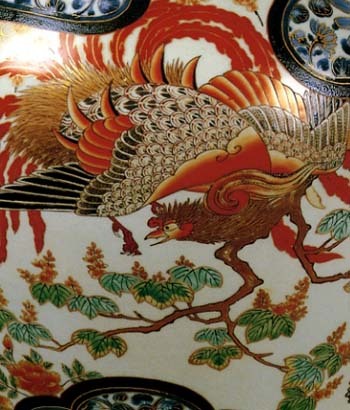 In Japan, as earlier in China, the mythical Phoenix was adopted as a symbol of the imperial household, particularly the empress. This mythical bird represents fire, the sun, justice, obedience, fidelity, and the southern star constellations. 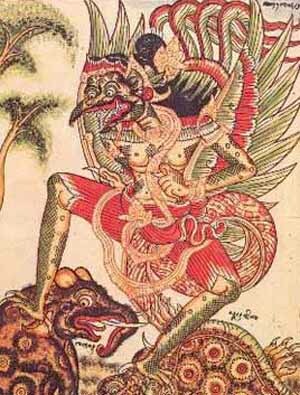 In Hindu mythology we find the Garuda. He is depicted having the beak, wings, talons, and tail of an eagle, and the body and legs of a man (sometimes having four arms). Garuda was semi-divine, as he was the mount of Vishnu. Garuda personifies the sun, as well as being the enemy of snakes. The Phoenix became popular in early Christian art, literature and Christian symbolism, as a symbol of Christ, and further, represented the resurrection, immortality, and the life-after-death of Jesus Christ. Resurrection; Christ consumed in the fires of Passion and rising again on the third day; triumph over death; faith; constancy; Christ's divine nature (as the Pelican was of his human nature). In early Christian tradition the phoenix was adopted as being resurrection and immortality. Through Christian eyes, we are taught to believe in the resurrection, as Christ himself exhibited the character of the phoenix: "I have the power to lay down my life and to take it up again." Using Christ's life as an example, one can live a similar learning life of rejuvenation. The phoenix makes a coffin and fills it with fine smelling spices, then dies where the stink of corruption is (effaced) by (agreeable) smells. Man may make a coffin of faith, faith being Christ, who sheathes and protects you in days of trouble. Your good spices are your virtues-chastity, compassion, and justice, being odors of noble deeds, sweet in life (as Christian doctrine dictates). Depart from life with the clothing of this faith, and as St. Paul states, "I have fought the good fight, I have finished the course, I have kept the faith, the crown of justice is restored to me." Thus, as with all other symbols, there is a cycle, a returning to something, as in many things of life. A symbol occurs because of its reflective association (the return) with the one viewing the symbol. It is lived through the interpretation of the viewer. 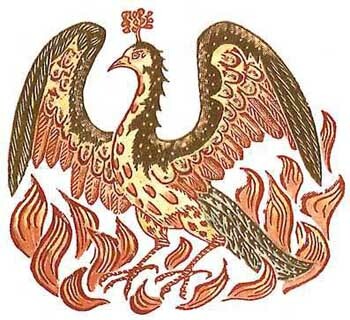 The phoenix also represented rebirth and the perpetual existence of the Roman Empire; imperial apotheosis. The Aztec, and Maya and Toltec all embraced the concept of the Phoenix. It represented the sun, blessings, resurrection, and happiness. In mythology, the Phoenix was the Quetzal Bird, the companion of the feather serpent, Quetzalcoatl. and still defying fortune's spite; revive from ashes and rise again.